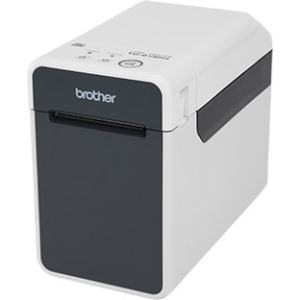 4" Desktop PrinterBased on more than 40 years of bar code printing innovations, the PC42t desktop printer sets new standards for userfriendliness and affordability. 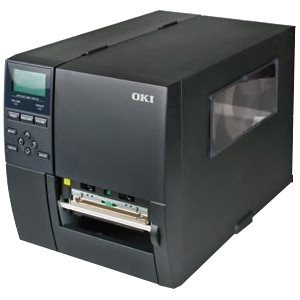 Exceptionally compact and easy to use, this printer is simple to install and is ready to print quickly. 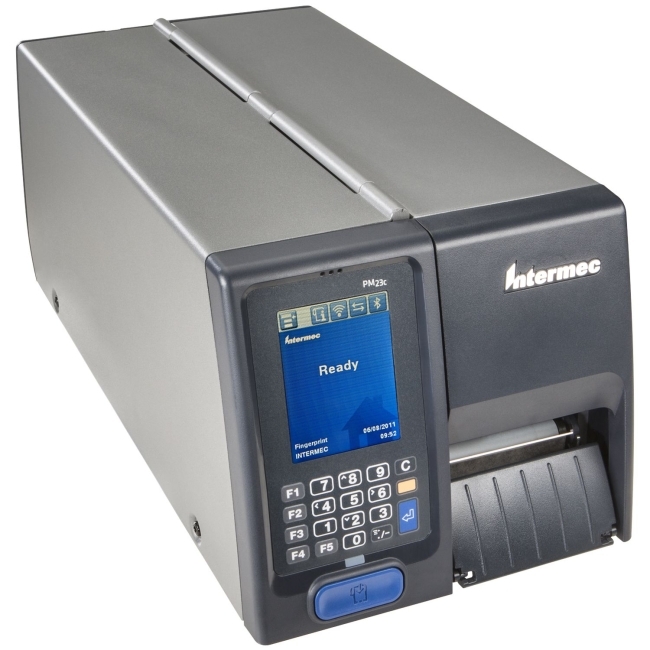 Quiet, reliable operation and intuitive design make the PC42t the right fit for light-duty labeling applications in a variety of industries.Available in either 12.7 mm (½ in) or 25.4 mm (1 in) ribbon core configurations, the PC42t supports media as wide as 110 mm (4.3 in) and fits right into existing printing environments. The 25.4 mm configuration is compatible with ribbon lengths up to 300 m (984 ft) - more than four times the length of competitive offerings. 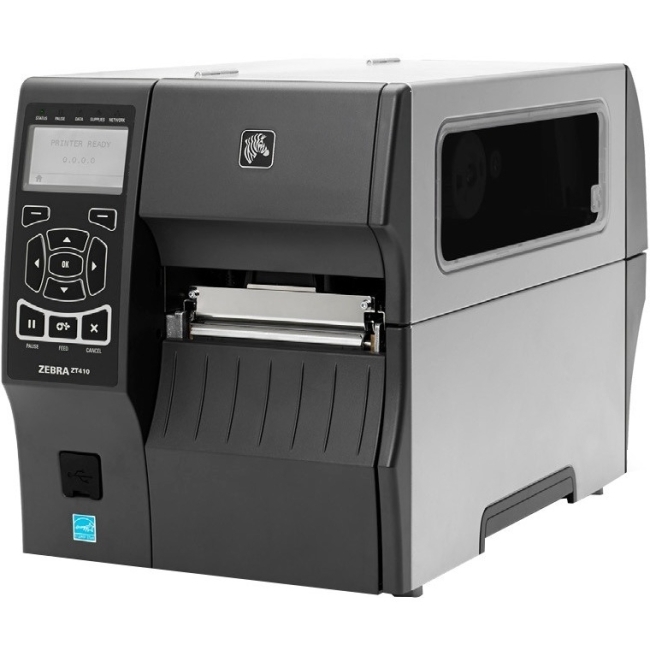 With support for longer ribbons, downtime is reduced and ribbons can be shared with larger printers to provide increased media flexibility.The PC42t includes broad, industry standard connectivity. Up to four ports are built-in: standard USB device and USB host, plus serial or serial+Ethernet. With a user-installable USB-to-parallel cable, the PC42t easily drops into virtually any environment. 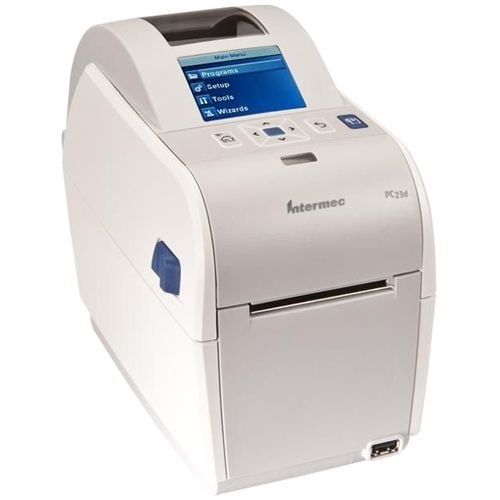 With its compact size, common media specifications, and support for ZPL-II and EPL emulation, along with Honeywell's popular Direct Protocol (DP), the PC42t provides an easy upgrade path from a variety of legacy Intermec and competitive printers.With its affordable price and modern features, the PC42t represents a smart solution for the small or medium business looking to improve productivity in label making operations.4" Desktop PrinterBased on more than 40 years of bar code printing innovations,the PC42t desktop printer sets new standards for userfriendlinessand affordability. 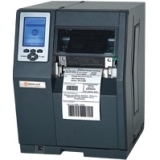 Exceptionally compact and easy touse, this printer is simple to install and is ready to print quickly.Quiet, reliable operation and intuitive design make the PC42t theright fit for light-duty labeling applications in a variety of industries.Available in either 12.7 mm (½ in) or 25.4 mm (1 in) ribbon coreconfigurations, the PC42t supports media as wide as 110 mm(4.3 in) and fits right into existing printing environments. The25.4 mm configuration is compatible with ribbon lengths up to300 m (984 ft) - more than four times the length of competitiveofferings. 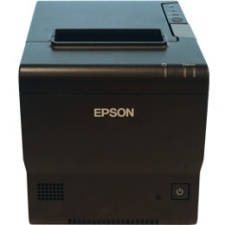 With support for longer ribbons, downtime is reducedand ribbons can be shared with larger printers to provideincreased media flexibility.The PC42t includes broad, industry standard connectivity. 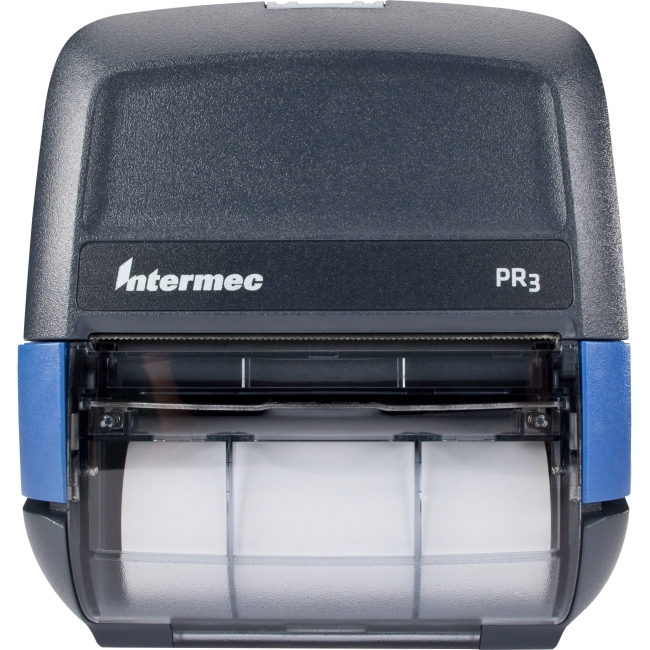 Up tofour ports are built-in: standard USB device and USB host, plusserial or serial+Ethernet. 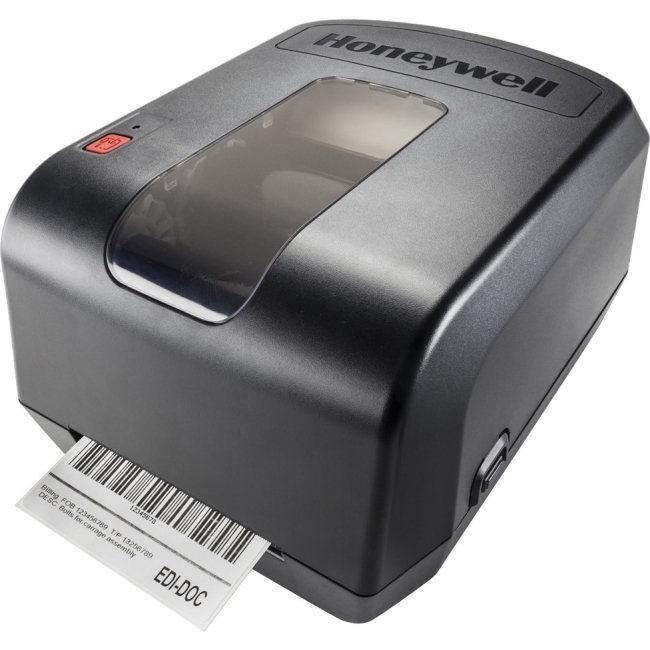 With a user-installable USB-to-parallelcable, the PC42t easily drops into virtually any environment.With its compact size, common media specifications, andsupport for ZPL-II and EPL emulation, along with Honeywell'spopular Direct Protocol (DP), the PC42t provides an easyupgrade path from a variety of legacy Intermec and competitiveprinters.With its affordable price and modern features, the PC42trepresents a smart solution for the small or medium businesslooking to improve productivity in label making operations.